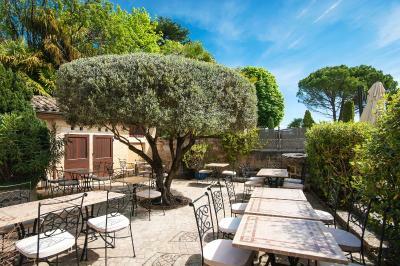 Lock in a great price for Au Logis des Remparts – rated 8.9 by recent guests! Location to other community shops. Garden/view was amazing. Very conveniently located site with beautiful grounds for relaxing. 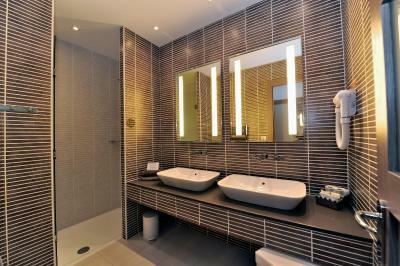 The room was undated with large modern bathroom. 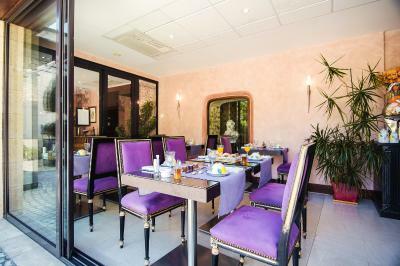 Breakfast buffet was great and the garden dining area pleasantly satisfying. 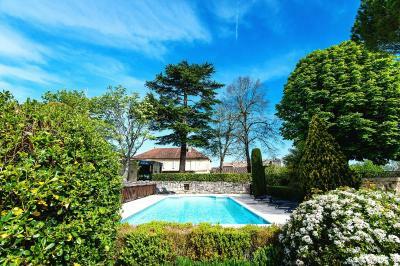 Free parking, great swimming pool and perfect location! 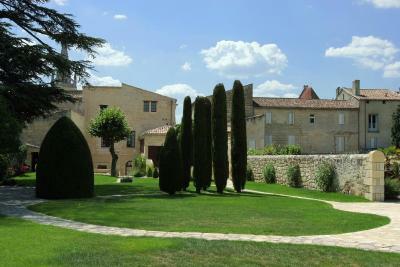 Staff were very friendly and happy to ring to book wine tours/tasting. Very friendly staff, excellent location. Nice garden in back. The small pool in back is nice to have in hot weather. At breakfast, they have a machine that fresh squeezes orange juice. Free private parking in back. Location, right in the middle of the town. Wonderful, helpful and friendly staff. 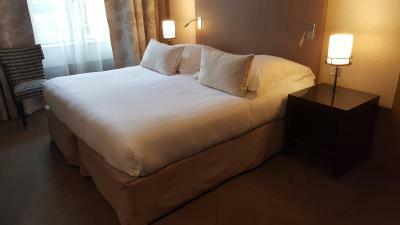 Large comfy bed and good quality linens. Beautiful gardens. 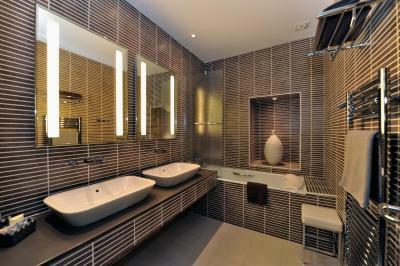 Loved everything about this property! 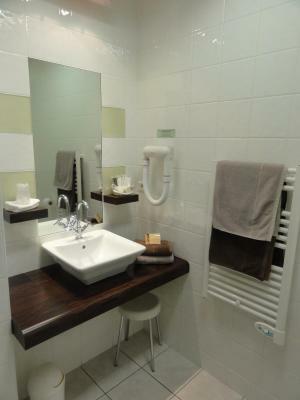 Comfort, clean, location and the breakfast is a must! 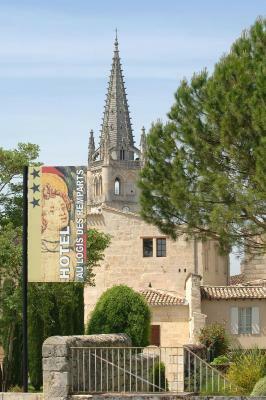 The hotel location is amazing and a walking distance from all the atttactions available at St Emilion center. The architecture of the hotel was perfect and within the area architecture. The hotel staff was very helpful. The bed and the cushions are super comfortable. 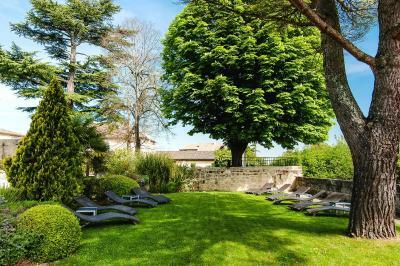 One of our top picks in Saint-Émilion.The hotel Au logis des Remparts sits in the heart of the medieval city of Saint-Emilion. 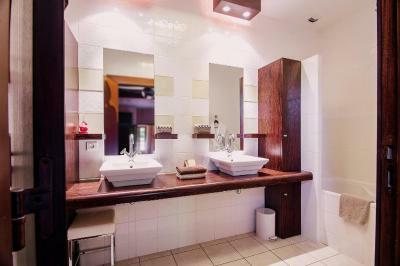 It has a garden with an outdoor swimming pool, and air-conditioned accommodations. 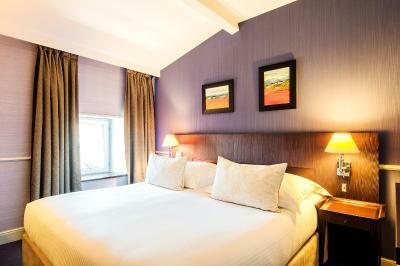 Au Logis des Remparts hotel offers soundproofed rooms and suites, all equipped with flat-screen TV. Some rooms overlook the garden. 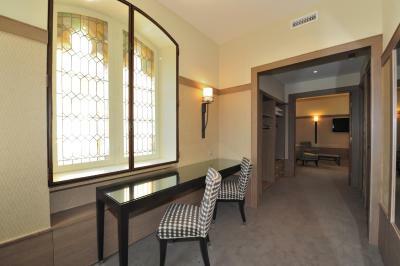 The suites are located in a separate building, classified as an historic monument. 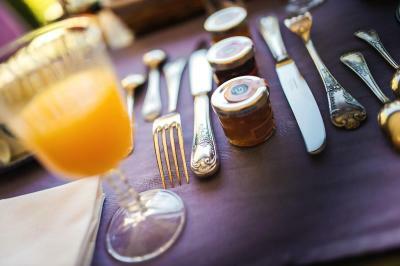 A french buffet breakfast is provided daily, between 7:30 am and 10:00 in the breakfast room. 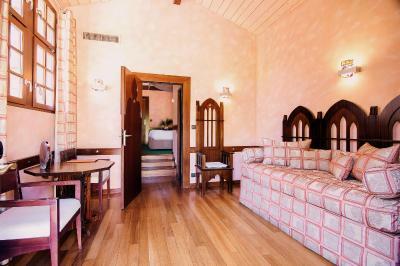 It can also be served in the guestrooms, at an extra cost, or on the shaded terrace. The breakfast consists in particular of mini croissants and similar products, jam, honey, cereal, compote, yogurt, cheese, ham, scrambled eggs, fresh orange juice and an assortment of hot drinks. 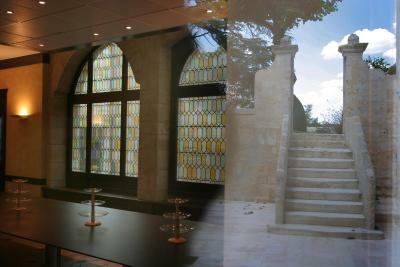 You can taste Saint Emilion wines and other Grand Crus in the bar of the hotel. Many restaurants are located in the area. 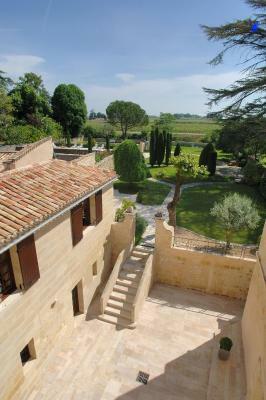 Au Logis des Remparts, there is free WiFi access throughout. 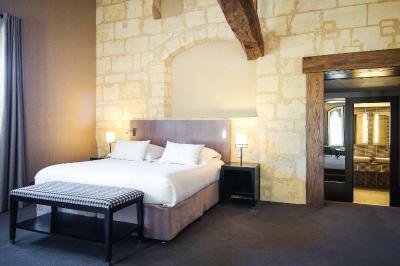 Guests can discover the village of Saint-Emilion, including its underground galleries and wine cellars. 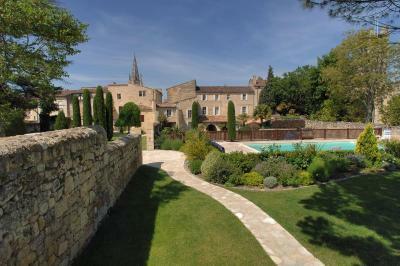 When would you like to stay at Au Logis des Remparts? A parking space is not guaranteed if you book this type of room. The room photos may differ from the actual rooms. The room has a view of the courtyard. 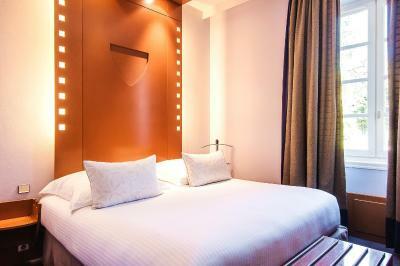 Guests staying in this room can benefit from a parking space, subject to availability. 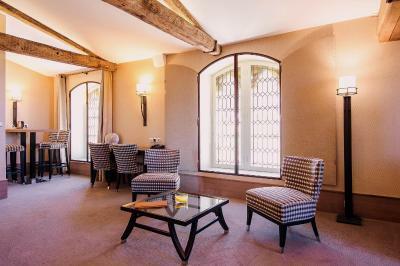 Set in a separate, listed building, the room features a view of the a view of the garden or city walls. 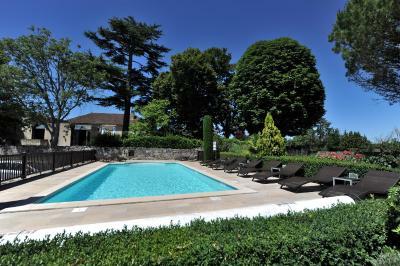 Set in a separate, listed building, this spacious room features a private terrace and a view of the garden and on the vineyards. 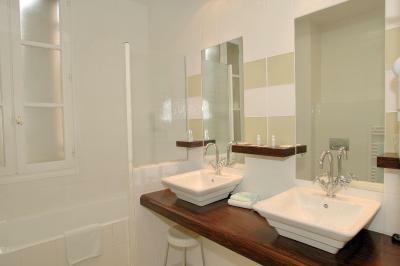 Guests staying in this room can benefit from a parking space, set in a parking closed 22:00 to 08:00. 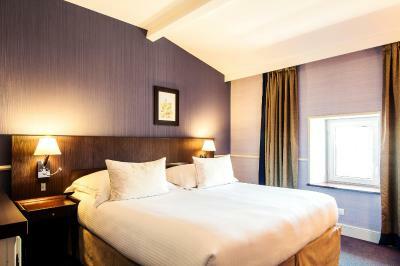 Set in a separate, listed building, this spacious room features a view of the garden or city walls. 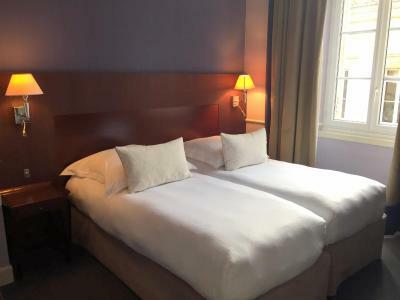 Set in the historic part of the hotel on the garden side, this suite is composed of 1 double bedroom and another bedroom fitted with 2 single beds. 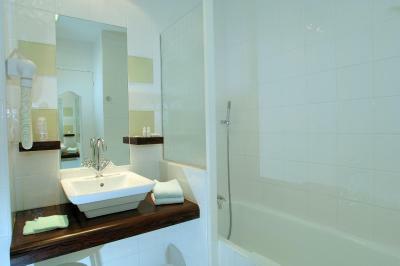 The two bedrooms share a bathroom with a bathtub. Free WiFi is available. 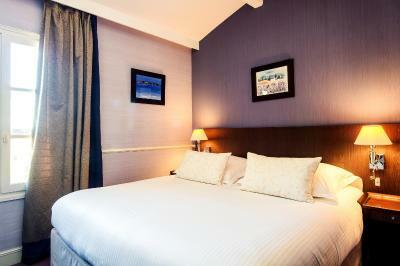 Guests staying in this room can benefit from a parking space, subject to availability. The parking is closed from 22:00 until 8:00. 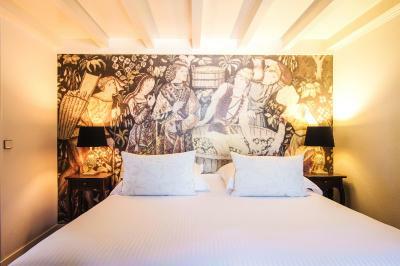 House Rules Au Logis des Remparts takes special requests – add in the next step! Au Logis des Remparts accepts these cards and reserves the right to temporarily hold an amount prior to arrival. 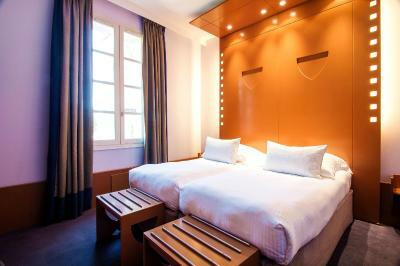 Please note that check-in after 23:00 will be charged EUR 65 per extra hour. 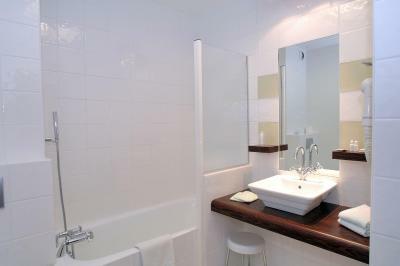 Please note the property is not equipped to host people with reduced mobility. Please note that the car park is closed from 22:00 to 08:00 and the parking fee is nonrefundable. Please note baby beds are subject to availability and must be confirmed by the hotel. 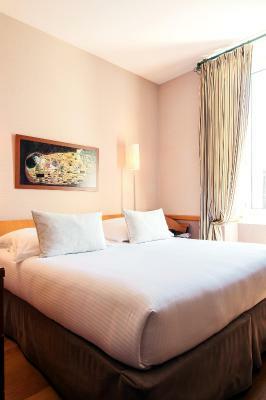 Please note that parking is not guaranteed for guests reserving a Standard Room. Any remaining parking spaces will be allocated to guests in Standard Rooms once all guaranteed parking spaces have been filled. Please note the dimensions of the car park: width 7.4 feet, height 7.4 feet and a 30% slope. Trailers and large vehicles cannot therefore be accommodated. Please note that the guest staying at the property must be the same as the name on the credit card used at the time of booking. Please inform Au Logis des Remparts of your expected arrival time in advance. You can use the Special Requests box when booking, or contact the property directly using the contact details in your confirmation. The entrance to the parking is steep and too narrow. Bad breakfast. You have to be brave to access the car park - turn very sharply in to get into entrance, 30 degree slope up to automatic gates, any car wider than a piece of spaghetti needs its mirrors folded in. 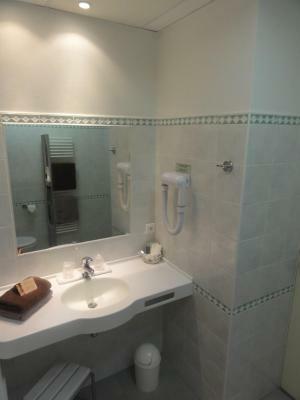 Beautiful garden, good location, clean room, good bathroom, friendly staff. We didn’t have breakfast as we felt €14 each was very expensive. 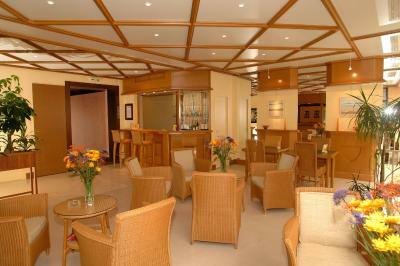 Staff were all extremely friendly and helpful. Location was perfect. 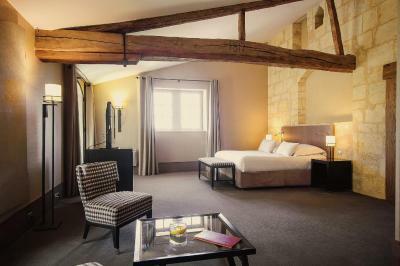 Beautiful hotel in a perfect spot for visiting Saint-Emilion. We were welcomed at our car and helped with the luggage which was sent upstairs by a luggage lift so no need to drag it up the beautiful old stone spiral staircase. 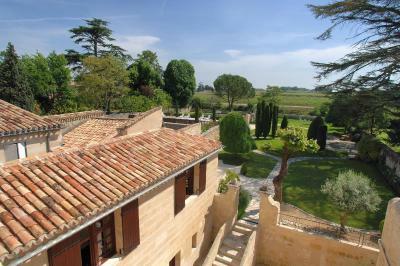 The room was extremely comfortable with lovely views from the back of the hotel to the vineyards beyond the city walls. The restaurant wasn’t open being so out of season but they recommended a local place which was open just down the street. Car parking is tight but we had a Fiat 500 for which I was glad! Location. The receptionist-lady waited for our late arrival due to traffic jam otw. 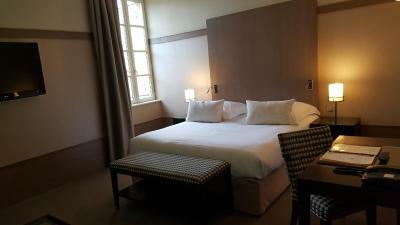 POOR quality of Standard Room. Changed room to a too a very high price. Standard room to the garden was impossible to get. 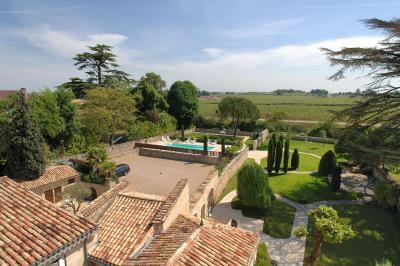 Great terrace and gardens for sipping wine and watching the passing hot air ballon show. The room could have been bigger, but was comparable to other French (even Parisian) properties we have stayed in and not a huge issue for us. 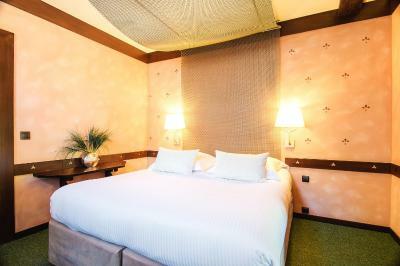 I noticed there were larger rooms on site, probably at a higher cost - worth considering for those who might prefer a larger room. 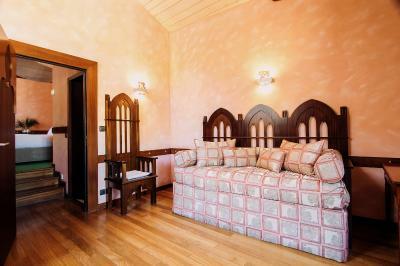 A funky little hotel with "heritage" character and possibly deserving more than its two star rating. The restaurant was excellent with great quality food and good value compared to other restaurants in the nearby old town. Would definitely stay there again. 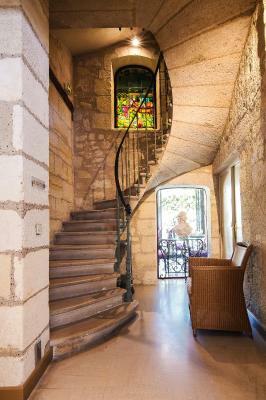 Access to room was very challenging (lack of elevator) and the very narrow spiral staircase to get to upper floors. The amenities in the bathroom (hair dryer, bathroom cups) were not up to par with a “4 star” hotel. The hair dryer barely had any power, and kept falling off the handle. The bathroom glasses were plastic disposable drinking cups. I felt like I stayed at a motel vs. a hotel.